Rome — Wealthy countries are still subsidizing their farmers at the expense of developing nations, undermining market access for some of the world’s poorest producers, two farm ministers told a Food and Agriculture Organization meeting on Monday. 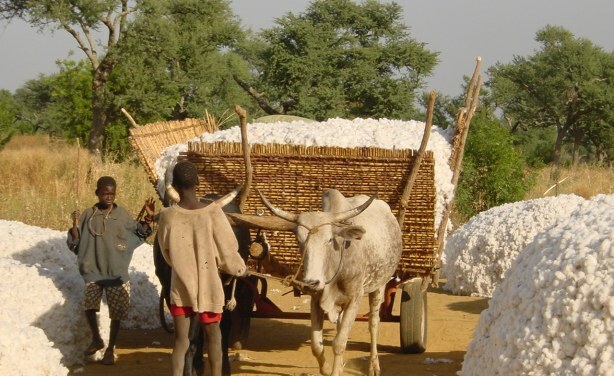 “Our cotton producers are constantly targeted by unfair subsidies from the North,” Burkina Faso Agriculture Minister Mahama Zoungrana told delegates at a meeting of the U.N. agency in Rome. “The rules and standards of international trade are not favorable to SMEs (small and medium sized enterprises) from Africa,” he said. The United States, the world’s largest cotton producer, paid its cotton farmers $32.9 billion to grow their crops between 1995 and 2012, the Environmental Working Group, a research organization, reported. European cotton producers, based mostly in Greece and Spain, receive smaller subsidies, but the EU accounts for only one percent of world production, EU figures show. For other crops, the European Union spends around $58 billion annually on farm subsidies. Farmers from poorer countries say they cannot compete, given these levels of government support for their rivals. Members of the Organization for Economic Cooperation and Development spent a total of $258 billion subsidising agriculture in 2013, OECD data show. Asked whether rich-world subsidies unbalance agricultural markets, David Hallam, director of the FAO trade and markets division, told the Thomson Reuters Foundation “there is still scope to improve” global rules governing subsidies. The World Trade Organization (WTO) has the task of arbitrating disputes on such issues, he said. Brazil has tried to use the WTO in its dispute with the United States over cotton subsidies. In 2004, Brazil won a challenge against U.S. cotton farmers when the WTO backed its complaint and allowed it to impose $830 million in sanctions on U.S. products. The two governments are still wrangling over the specifics of a payout, and South America’s largest economy has threatened to impose higher import tariffs on U.S. products if a deal isn’t reached. Disputes between India and the United States over farm subsidies have been partly responsible for stalling global trade pacts. Concerns over developed-world farm subsidies took a back seat for policy makers in recent years, as high prices for agricultural goods led to food riots and worries that a growing number of people in poor countries couldn’t afford to eat. Today, plentiful harvests have pushed down prices, putting concerns over subsidies back on the table. “Disfunction in commodity markets is a threat to security, worldwide,” said Burkina Faso’s Zoungrana.